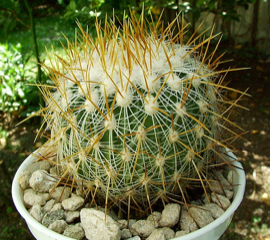 Stenocactus is a genus of northern and central Mexican cacti of around 10 species related to Ferocactus. 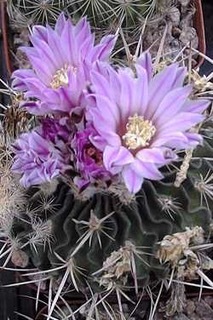 It now includes Hertrichocereus and Echinofossulocactus. 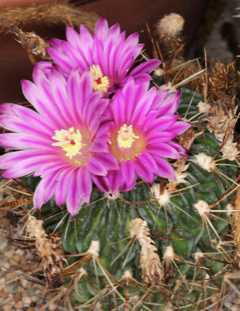 They are mostly small globular cactus, of very variable characteristics, generally below 4 inches in diameter (10 cm), often solitary, but sometimes clustering as they age. 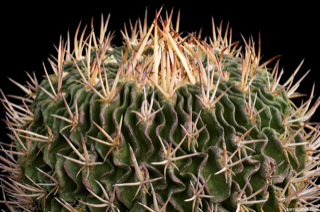 The name echinofossulocactus comes from the Latine for ‘Echinocactus with a little ditch’, referring to the small wrinkle extending from the top of the areola in some species. 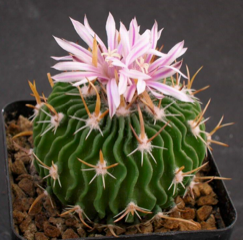 They contain the wave cacti, also called brain cacti, that are so named because of their large number of undulating ribs. 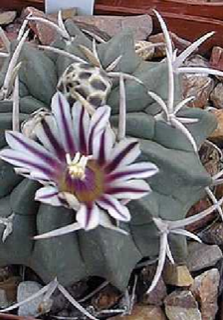 The short funnel-shaped flowers are generally striped with a darker median line and, just above 1 inch across (2.5 cm). These flowers come in late summer and last 3-4 days. 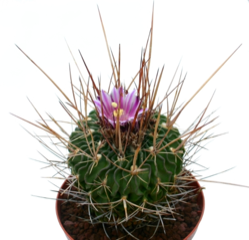 Stenocactus are not always self-fertile, so you might need to have several non related plants flowering at the same time, in order to get seeds. The seeds come in green pods. They are propagated by seeds that germinate easily. 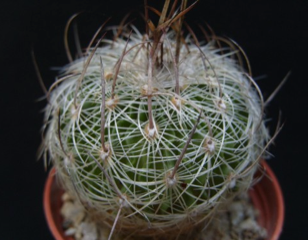 Echinofossulocactus is now included in the genus Echinocactus and Stenocactus. 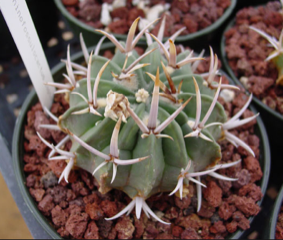 Echinofossulocactus is a Central to Northern Mexican genus. 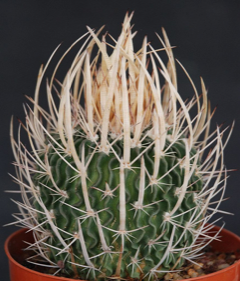 Plants from the genus Echinofossulocactus are easily recognized by their thin wavy ribs. 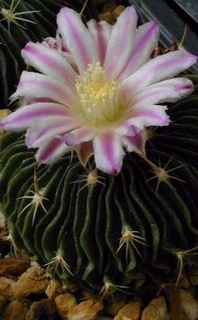 For several years the entire genus was known by the alternative name Stenocactus, and species can still be found with this name. 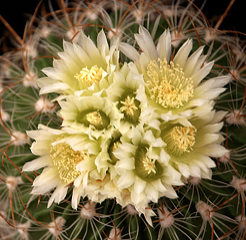 The genus is closely related to Ferocactus, differing by the lack of nectar glands the lack of a ring of hairs above the stamens, and size. Echinofossulocacti grow in grass lands, and need some protection from full sun. Individual plants can vary considerably within a species and this makes identification in this genus notoriously difficult. For the most part, they tend to look alike, and there are far more names than there are species. However, a few species do stand out. 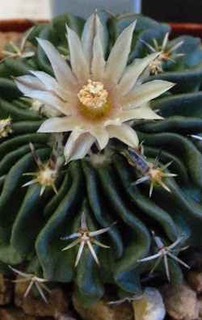 Due to a long and convoluted nomenclatural history, the genus is often still grown and traded among collectors under the genus name Echinofossulocactus. Named for Friedrich Carl (or Karl) Johann Vaupel, early 20th century German scientist and plant collector.